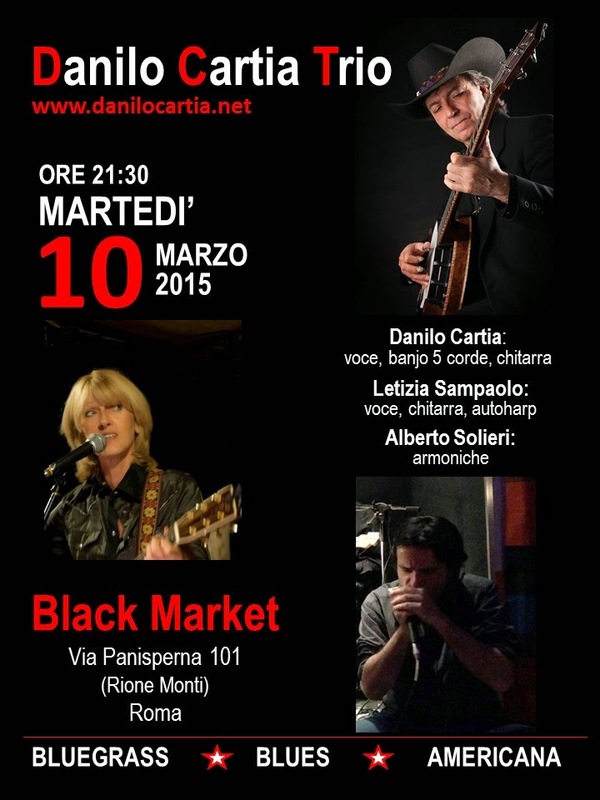 The Danilo Cartia Trio featuring Danilo with Letizia Sampaolo and Alberto Solieri will be bringing their mix of Bluegrass, Blues and Americana to the Black Market in the heart of Rome this Tuesday, 10th March. Details of the venue can be found on the Black Market website or their Facebook page. So, if you are looking for music in Rome on Tuesday, the Black Market is the place to be!